This vellum page from a Fifteenth Century manuscript needed to be seen from both front and back. 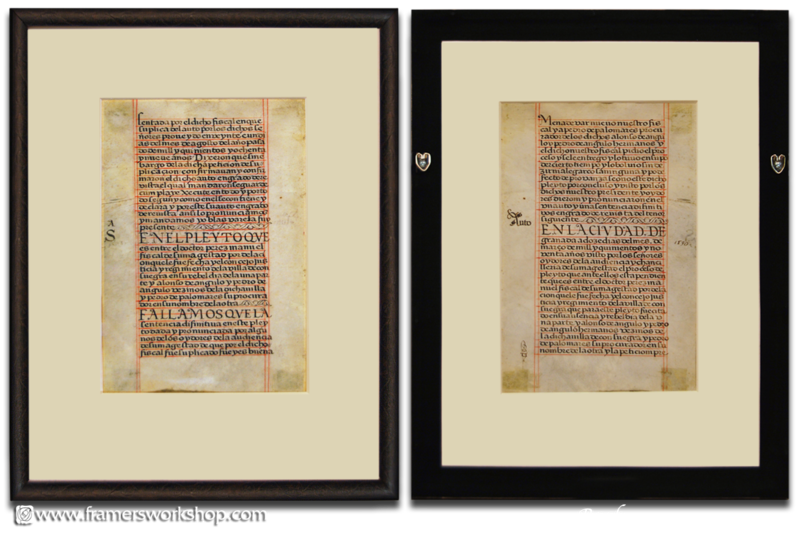 The frame is a black Larson-Juhl Pette with subtle scrollwork, taped with black linen on the reverse. An archival mat in both the front and back keeps the parchment from touching the Museum Glass™ on each side. Vellum restoration by Zukor Art Conservation.